Alan Day has served as the Potomac Appalachian Trail Club Supervisor of Communications, PATC Wolf Trap District Manager, & led the Wolf Trap Trail Performers Crew that built the blue-blazed trail around Wolf Trap National Park for the Performing Arts. The trail received excellent support from the local community — of the 53 people that asked to be on the email list for work trips, 42 of them participated in at least one work trip. Additionally, he serves as webmaster for the Bull Run Civil War Round Table & Friends of Fairfax Archaeology, has served on the Deepwood Board of Directors in Reston, & is a former Wood Badge-trained Boy Scout leader with two Eagle Scout sons. Alan and his wife Janet have lived in Reston since 1971. Alan was awarded a Career Intelligence Medal for exceptional achievement by the Central Intelligence Agency after he retired in 2003 with over 32 years of service. He then worked for SAIC as a US Government contractor, retiring in 2012. He enjoys day hiking in the metro area, playing with computers, historical research, & reading. Jack is retired from a long and varied career in technology. The career included stints as a process engineer in the chemical industry, university professor of mathematics, mathematical modeler, software developer, technology consultant, manager of international computer technology consulting groups, and senior executive in information technology firms. Jack was active as a leader in the Boy Scouts and served as Assistant Scoutmaster in two troops, one of which he helped found. He also has had Wood Badge scout training. He now helps survey butterflies in Wolf Trap National Park as a citizen scientist. Jack and his wife, Stephany, live in nearby Wolf Trap Woods where they raised two sons. The Crosby family has had the privilege of enjoying the natural resources of Wolf Trap National Park for several decades. Jack has served on the Board of Directors of Wolf Trap Woods Homes Association. His interests include tennis, digital photography, and learning Chinese language and culture. Allen Hoffman is “semi-retired” from a 32-year career in airport planning, where he has provided consulting services for more than 70 large- and medium-hub airports across the U.S., as well as Canada, Europe and the Middle East. Allen focuses much of his time toward environmental stewardship and recently completed the Fairfax Master Naturalist program. He also serves as a site leader for the Fairfax County Park Authority’s Invasive Management Area Program and works with a team of volunteers to monitor a Bluebird box “trail” near his home in the Clarks Crossing area of Vienna. He also works with a local small business in the development and installation of landscape plans that incorporate Virginia native plants. Allen is a member of the Potomac Appalachian Trail Club, where he serves as the current Trail Overseer for Wolf Trap National Park for the Performing Arts. In this role he provides routine trail monitoring and maintenance duties as well as supporting the implementation of improvements to existing boardwalks, bridges and other trail infrastructure. Allen is married to Julie and has lived in the Clarks Crossing neighborhood of Vienna since 2000, where they are raising their son who attends Marshall High School. Allen enjoys hiking, backpacking, woodworking, reading and traveling. John is a retired Senior Foreign Service Officer who lives with his wife Fran Lovaas in Reston. 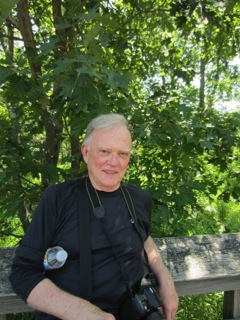 He is a Fairfax Master Naturalist, currently serving on the Board of Directors of the Audubon Society of Northern Virginia. He has served as President of the Reston Citizens Association, Vice President of the Reston Association, and on various other boards in the community. A Best of Reston Award winner, John produces and hosts a community television public affairs program and writes a regular column for the Connection Newspapers. Ms. Meson has been integral in the facilitating the Social Media strategy for FOWT, as well as other communications and website strategic initiatives. Mr. Reuss has lived in Vienna, Virginia for over 20 years with his family. 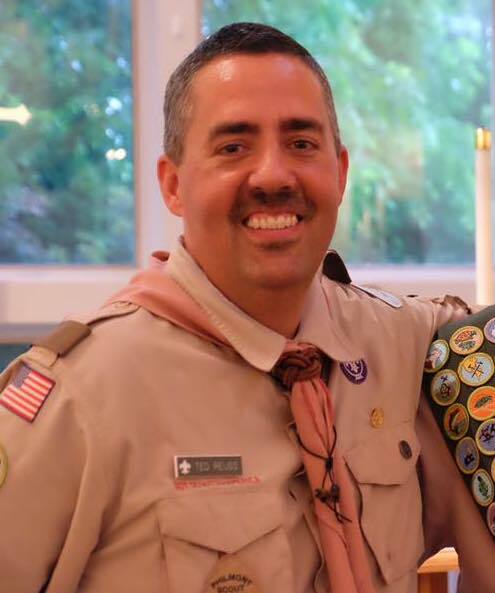 Mr. Reuss is active with Boy Scout Troop 55 in nearby Great Falls where he mentors Life rank scouts on their path to Eagle and assists the Troop with their website and social media. Additionally, Mr. Reuss is one of the original leaders involved in the First Time Campers (FTC) program. He can often be found at the Wolf Trap Farm Pond helping campers with the Fly Fishing activity during the FTC program. Mr. Reuss is an advocate for getting youth interested and interacting with the great outdoors and with nature. He is very active in community service and has been recognized for his outstanding service by Volunteer Fairfax and with two Gold Medals from the Presidential Community Service Award committee. Mr. Reuss maintains the FOWT website and assists with Social Media activities. Pam Smith hails from New England and now lives in Shouse Village, Vienna. She has four children, all launched into college and beyond. She currently works for the Fairfax County Park Authority at beautiful Green Spring Gardens in Alexandria. 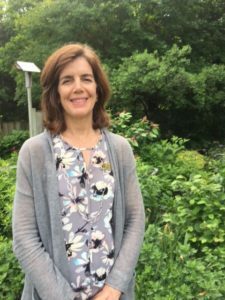 As Community Horticulture Coordinator, she oversees the County’s Garden Plot and Farmers Market programs and is the Unit Coordinator of the Green Spring Master Gardener program. 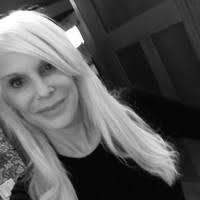 She has a Bachelor of Arts in Spanish from The College of the Holy Cross in Worcester Massachusetts and an Associate’s Degree in Horticulture Technology from Northern Virginia Community College. Pam is also a Friends of Wolf Trap (FOWT) board member where she helps support the Woodland Shade Garden, First Time Camper weekends for Title I school children and provides hiking tours of the park. She loves the outdoors in all its glory – biking, swimming, kayaking, hiking and, of course, gardening. Pam is the Secretary for FOWT. 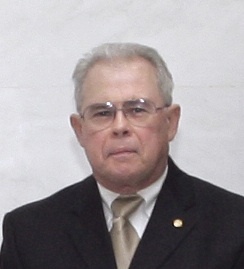 Mike has over 40 years of international experience in 35 countries; working in agricultural & economic development. His special interests include environmental stewardship – the Sierra Club, the Potomac & Appalachian Trail Club, as frequent hike leader & trail overseer at Wolf Trap. Mr. Moran received the highest award – the PATC Hawksbill Award in 2013. He has taught seminars with the National Capital Area Garden Clubs’ Environmental Studies Program and as an avid gardener, he has a backyard certification from the National Wildlife Federation. 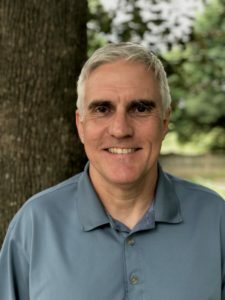 Mike is a citizen marine scientist docent at Ocean Hall of the National Museum of Natural History and a project manager & docent for the Natural Resource Management Division of Fairfax County Park Authority. He was also nominated for the prestigious Elly Doyle FCPA Service Award in 2006. 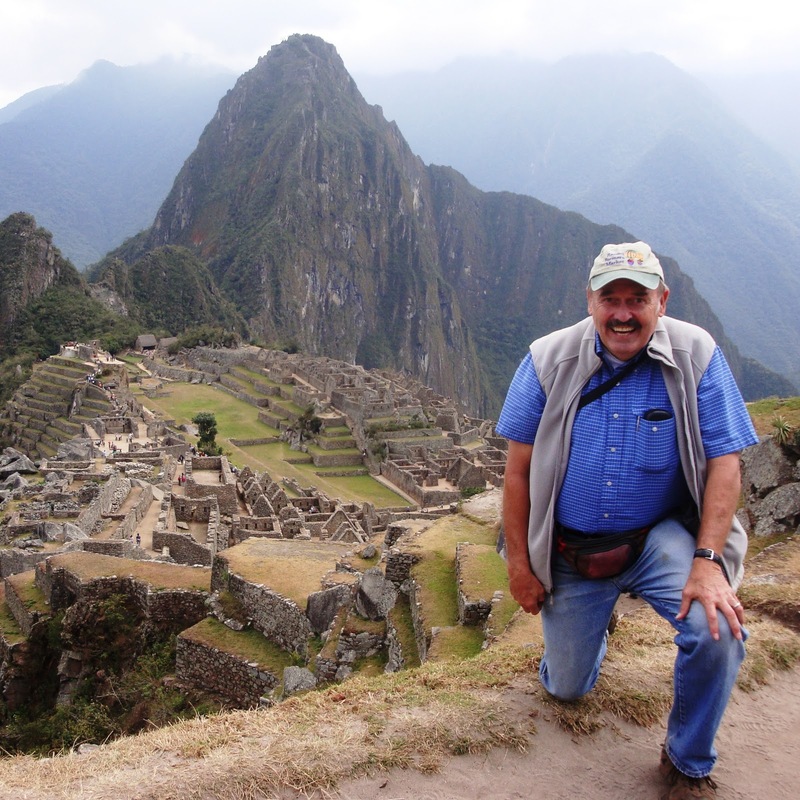 Mike enjoys extensive national & international mountain backpacking & trekking & biking. He has hiked in almost all the U.S. national parks, & much of the Appalachian Trail & Blue Ridge Mountains. Mike is a founder & board member of Friends of Wolf Trap National Park and is directly involved in the overall habitat enhancement activities & natural resource management & development projects at Wolf Trap. Mike is a married to Diane, and has lived in neighboring Shouse Village since 1976, raising three children there. 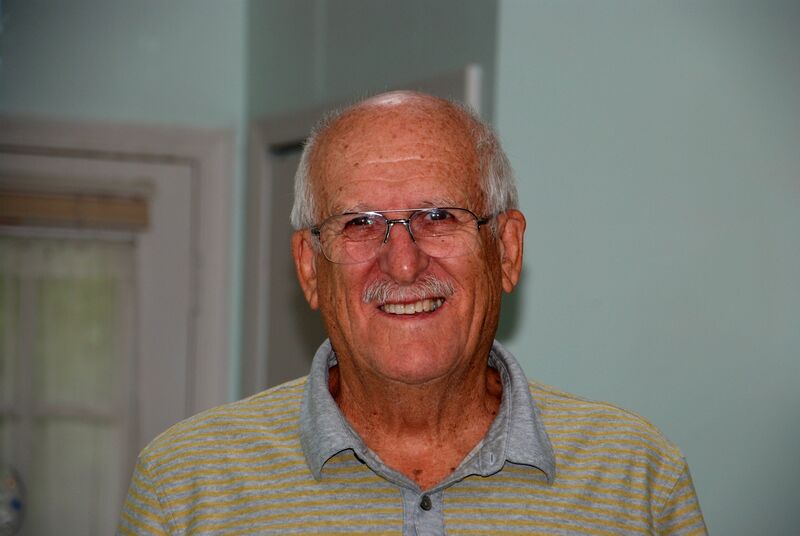 Mike currently enjoys traveling, and being with his nine grandchildren.